Best known as the lead singer/songwriter of the Strokes, Julian Casablancas was born on August 23, 1978 to Elite Model Agency Group founder John Casablancas and model and former Miss Denmark Jeanette Christiansen. Christiansen’s second husband, painter Sam Adoquei, helped shape Casablancas’ early musical taste, giving him a Doorsalbum that was a marked difference from the Phil Collins and other pop that he listened to at the time. Casablancas spent part of his teens in the Swiss boarding school Instituit Le Rosey, where he met future Strokes guitarist Albert Hammond, Jr., and in New York’s Lycee Français high school, where he met Fabrizio Moretti and Nick Valensi. Casablancas began playing with Moretti,Valensi, Hammond, and bassist Nikolai Fraiture in 1998, and dubbed the band the Strokes the following year. The band’s 2001 debut album Is This It was a critical and commercial success, and helped put back-to-basics, garage-y rock back on the map alongside bands like the White Stripes and the Yeah Yeah Yeahs. 2003’s new wave-tinged Room on Fire and 2006’s ambitious First Impressions of Earth followed, and the Strokes went on an extended hiatus after touring in support of their third album. Most of Casablancas’ bandmates released albums with other projects or on their own: Albert Hammond, Jr. issued two solo albums, 2006’s Yours to Keep and 2008’s ¿Como Te Llama? ; Moretti’s band Little Joy released their self-titled debut late in 2008; and Time of the Assassins, the debut album from Fraiture’s project Nickel Eye, appeared in early 2009. During this time, Casablancas collaborated with other artists, playing Casio guitar on “Sick, Sick, Sick” fromQueens of the Stone Age’s 2007 album Era Vulgaris and collaborating with Santigold and Pharrellon the song “My Drive Thru” for a 2008 Converse Shoes ad campaign. He also recorded with the Lonely Island, Danger Mouse, and Sparklehorse. Casablancas began recording his solo debut album in 2008 with producer Jason Lader and Bright Eyes’ Mike Mogis; Phrazes for the Young, which featured denser, more free-flowing songs than the Strokes’ albums, arrived in fall 2009. 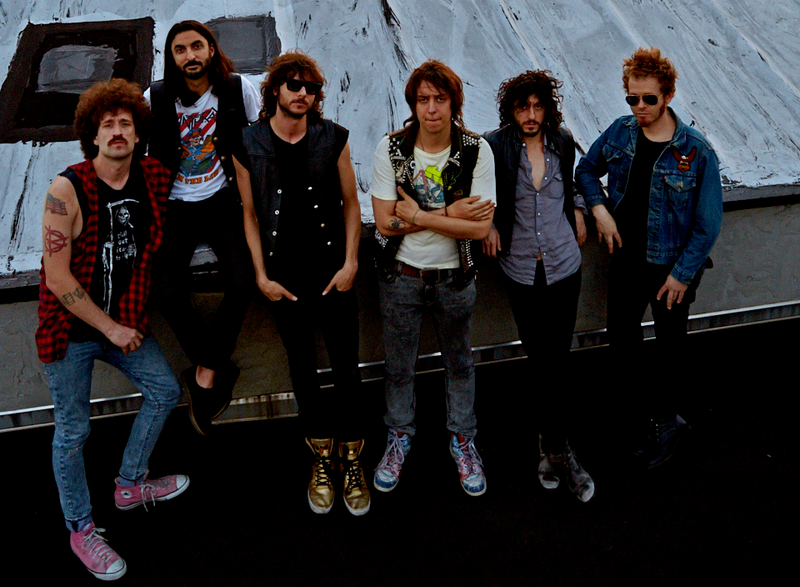 After returning to the Strokes for 2011’s Angles and 2013’s Comedown Machine, he formed another band, the Voidz, to help flesh out the songs he had accumulated. The results were 2014’s Tyranny, a dense, sprawling work inspired by Casablancas’ love of ’80s punk like Black Flag and his political outrage.